At Low Impact we’ve designed, prototyped, tested and utilized many different components and parts for our machines over the last 12 years during work and adventure. 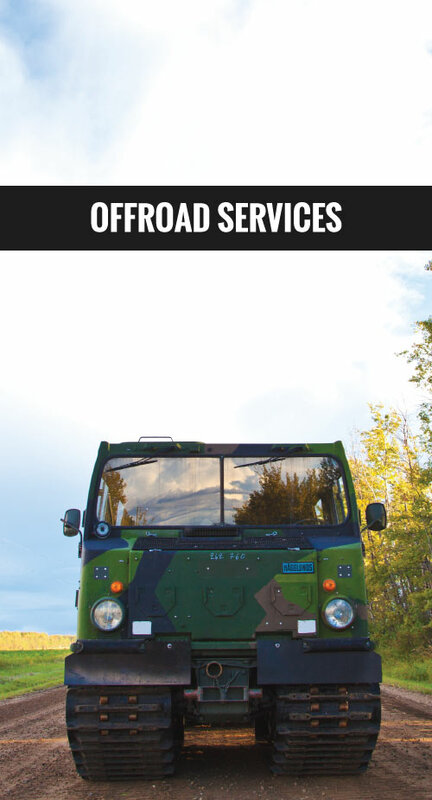 Our experience and expertise is second to none and has given us the opportunity to perfect our Off-Road Fleet. 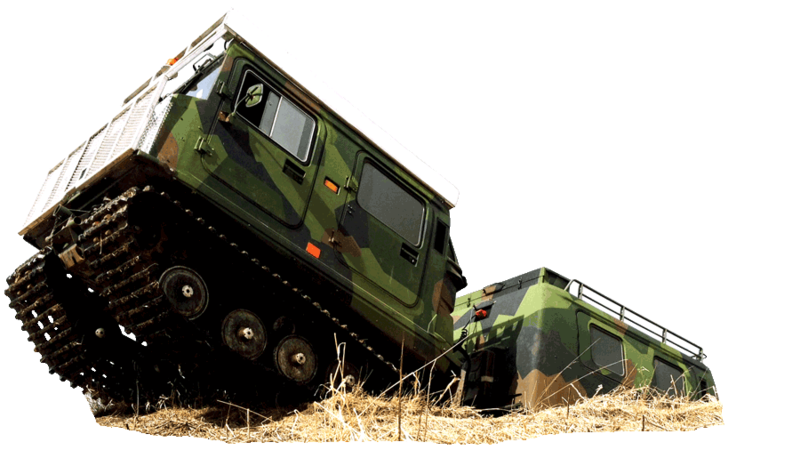 We not only offer a military grade engineered vehicle, but we’ve customized it to be comfortable, user-friendly, safe and environmentally friendly. 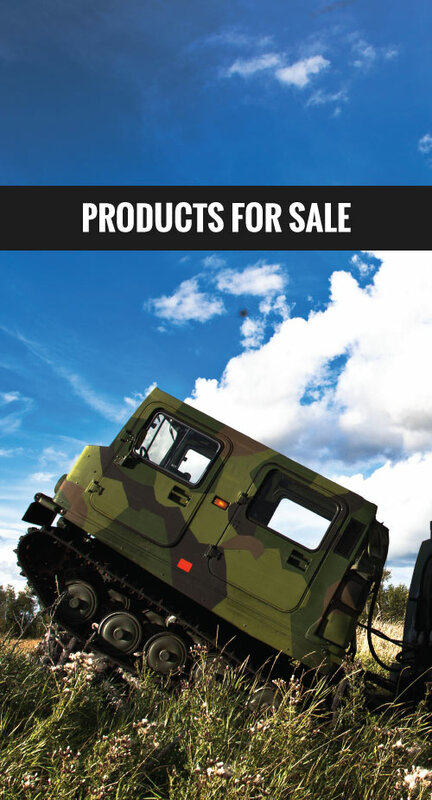 We specialize in the world-famous Hagglunds BV 206 and offer unique customizations of the popular offroad vehicle. 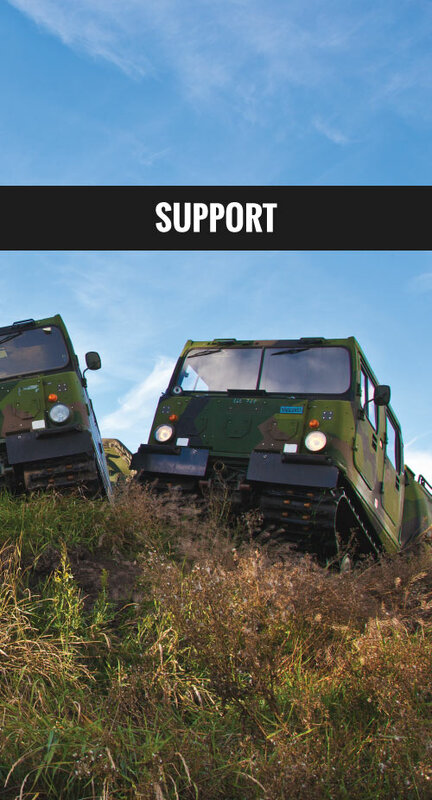 Our Fleet includes not only the ex-military vehicle but our exclusive PantherX, Snowcats and other offroad warriors. After rebuilding, the vehicles are more reliable, powerful, efficient, user-friendly and comfortable. They’re safer, too. At Low Impact we greatly value safety and design our machines with safety as the most important aspect. 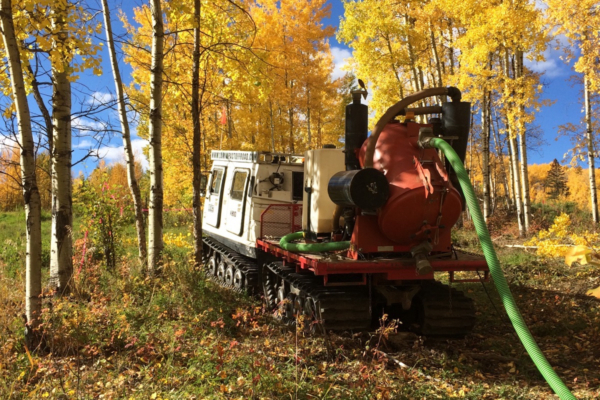 Our machines are connected front and back by spring steel making it incredibly stable on uneven ground and extremely difficult to roll. 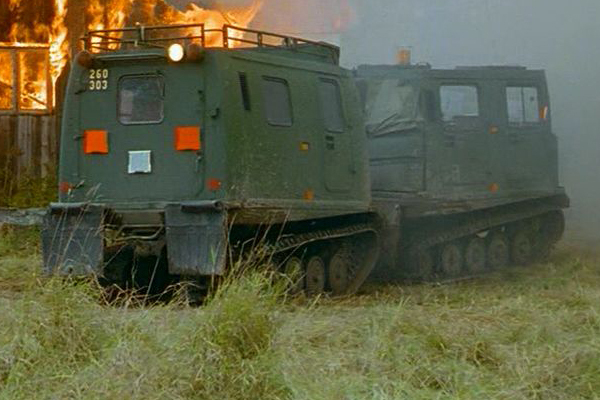 If you can drive a car, you can drive a Hagglunds BV206. Our machines are designed to be incredibly user-friendly and simple – on top of that comfortable. Our cabs are customized for comfort and tested during long hours of work and adventure. Basically, we’ve taken an amazing vehicle and made it even better. Not only are our machines safe, simple and reliable they are Low Impact on the environment too. 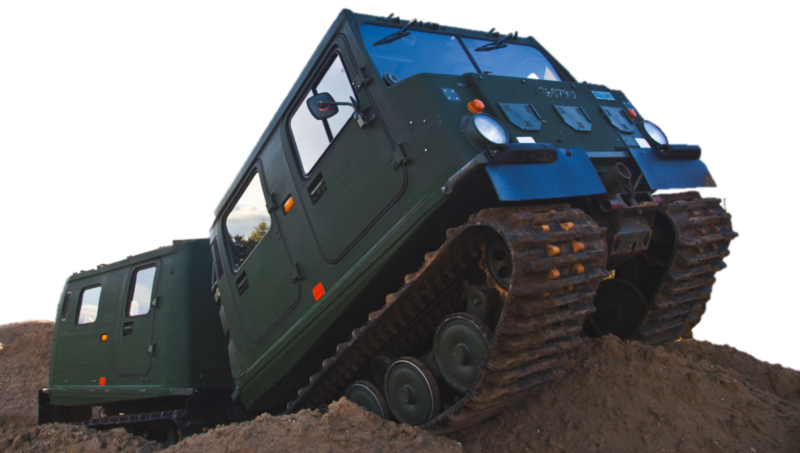 To illustrate, the average quad puts 35 PSI of pressure on the ground, a human footprint 8 PSI and a Hagglunds BV206 – 1.74 PSI fully loaded. 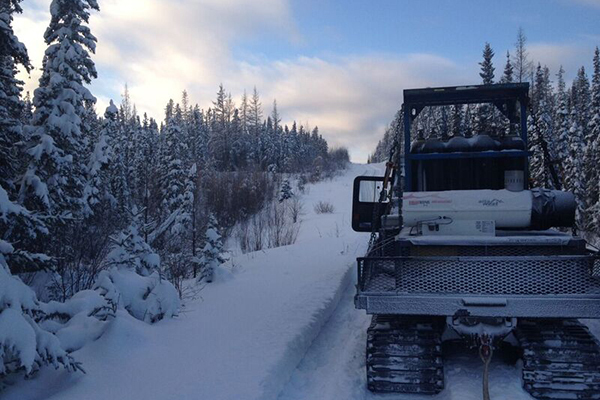 Our machine’s rubber tracks have helped access remote areas without destroying the sensitive terrain. The environmentally friendly factor doesn’t stop there. Low Impact’s machines are rebuilt with more fuel efficiency and modern power trains for a low impact on the environment. 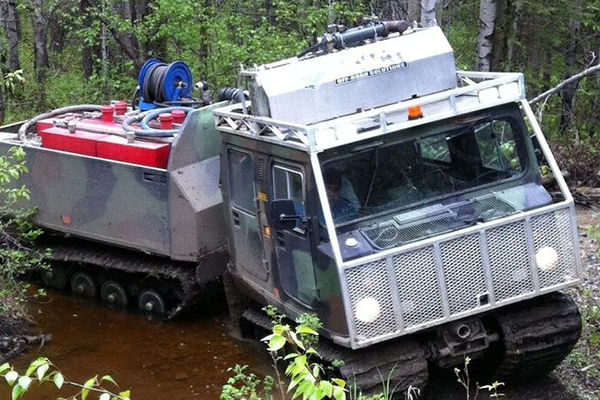 Our machines are – Anywhere, Anytime, Tough. 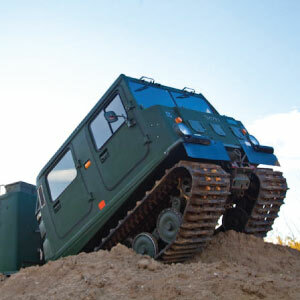 Designed by the military, these machines handle with ease the toughest of terrain. 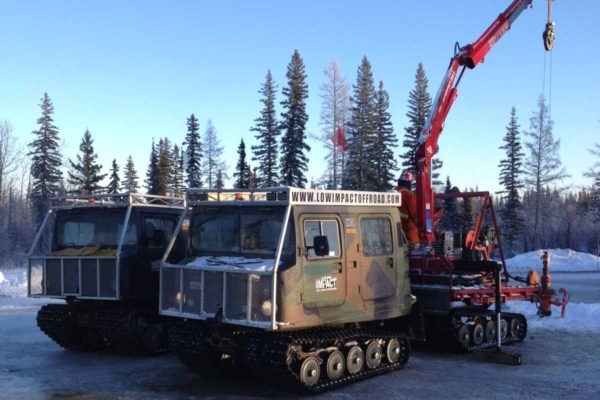 The chassis of these machines has continued to prove itself in snow, sand, muskeg and forest debris over the last 35 years. Our machines can climb a maximum of 45 degrees and with certain customizations are completely amphibious. 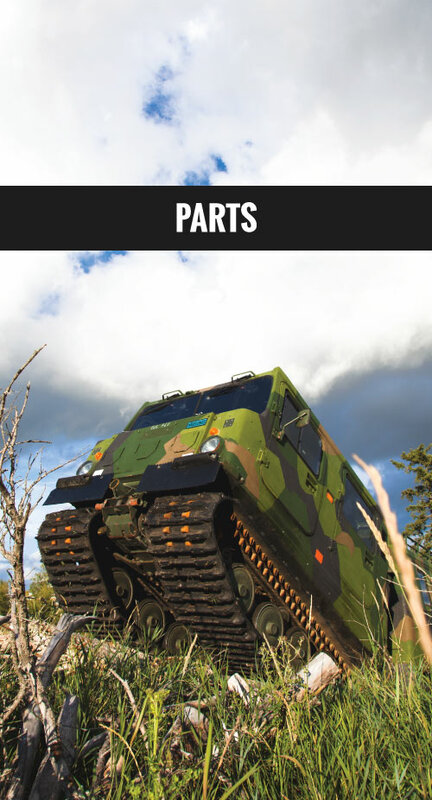 We’ve taken military grade engineering and customized it for modern day use. We’ve designed, prototyped, tested and utilized different components and parts for our machines. They’re custom-built for the harsh environments in which they operate while remaining comfortable and user-friendly. Our experience has given us the expertise in rebuilding and improving these machines to the point of customization. 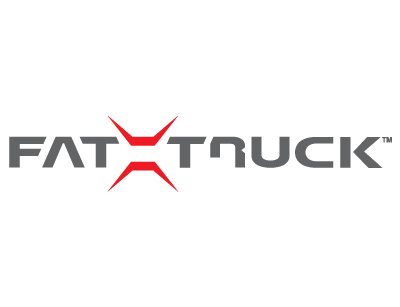 We offer a variety of cabs, rear modules, drivetrains, and chassis for your speciality work. 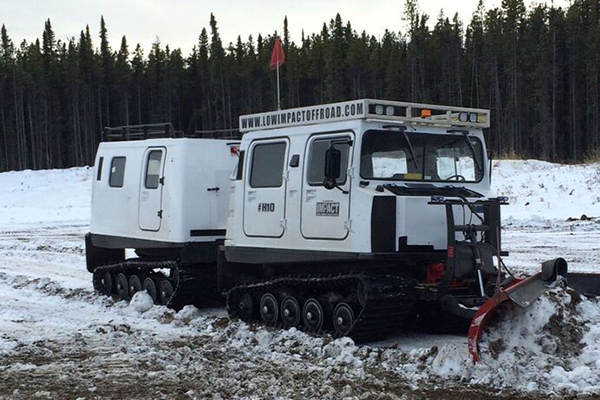 From our Hagglunds to the Snowcats or water trucks, our fleet is extremely well maintained and operated.We carry extensive spare parts and spare machines so if we do have trouble with a machine we can quickly repair it or replace it with another one. 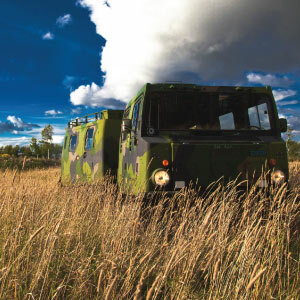 Originally built by the Swedish Army, Hagglunds were phased out in ’91 in favour of an armoured version. Yet there are still thousands of the machines in storage. 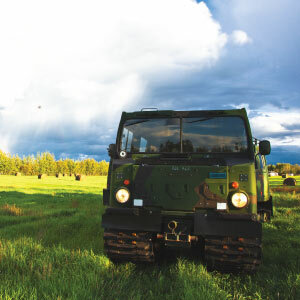 Low Impact began importing them to Alberta where their team of mechanics, often including ex-military professionals, studied them, stripped them down and learnt to rebuild them – including the research, design and development of new parts and components. We believe in doing our part to make the community a better place to live. We sponsor all kinds of Organizations, clubs, sport programs, local children’s shelters as well as our favorite country artist Tenille! The key word is ‘respect.’ It sums up our entire safety program. Respect yourself, your coworkers, your customers, your equipment and your environment. Safety is a big part of everything we do and we are ISNetworld and Complyworks compliant.